Hey, Beautiful People! 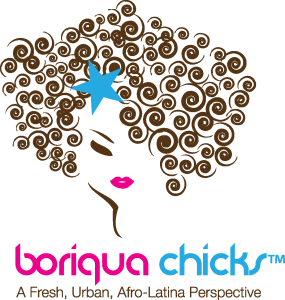 As BoriquaChicks.com reaches new people each day, we thought today is the perfect day to reintroduce ourselves. Below is a recent interview we did about what our blog represents to us. 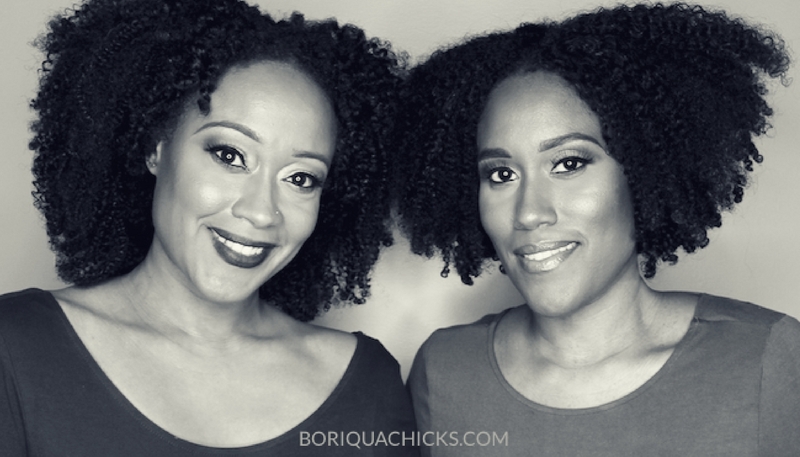 Boriqua Chicks is an entertainment and lifestyle blog, based in Chicago, run by my sister Raquel and I (Rebecca). Our entertainment and lifestyle news blog provides readers access to popular celebrity news stories and real life topics. Over time, what began as a gossip site focusing on celebrities of color, evolved into a platform where we speak about topics from an Afro-Latino/a perspective. 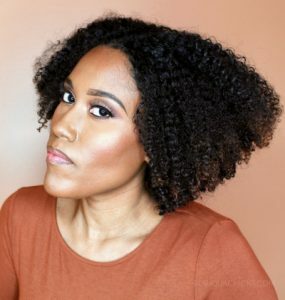 Over the years, the blog has been a major influence in the many discussions that are now taking place around Afro-Latino/a identity—which was less popular before the blog began. Raquel began the blog in 2010.
Who are Rebecca and Raquel? What was the original idea behind the blog? Rebecca and I are sisters and we grew up in Chicago. We are Afro-Latinas of Puerto Rican descent. Our mother was born and raised in Canóvanas, Puerto Rico and our father, an African-American, was born and raised in Chicago. I launched the blog, BoriquaChicks.com, 7 years ago for fun. I began blogging to share more of the entertainment stories I wanted to read. 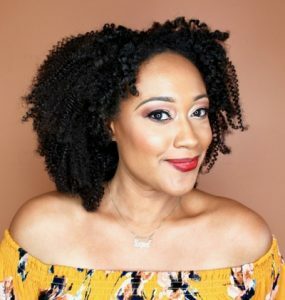 The blog initially published news about celebrities of color, with a strong emphasis on Afro-Latinx and over time it evolved to so much more. Rebecca later joined to assist in growing the brand. Why do you think it’s important to empower the Puerto Rican community, along with other Afro-Latinx? What do you think we can do to build more solidarity within our community? Rebecca helped Raquel brainstorm blog names at the beginning of her journey and later joined to help grow the brand. With this blog we are empowering women to be proud of their Latina identity and not be afraid of acknowledging who they are. People have a perception of what Puerto Ricans or Latinx look like or how they should behave; however, we don’t all fit in one neat box. 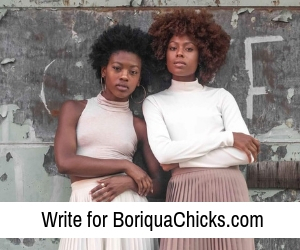 Our blog, BoriquaChicks.com, constantly challenges what society expects Puerto Ricans and Latinx to be. Everyone has a story and it’s not the same. We are Black Puerto Ricans from the South Side of Chicago, but grew up spending our summers in Puerto Rico. We’ve found that sharing our stories, and the stories of others, inspires our Afro-Latina peers to feel comfortable sharing theirs. Since the blog began, many of our readers have felt inspired to become more vocal about their identity journey, whereas in the past they were reluctant to do so. We would encourage all Latinx to learn their personal history, as well as genuinely acknowledge, celebrate, and embrace Afro-Latinx. What are some of the obstacles you two face in regards to Boriqua Chicks? How have you over come these obstacles so far? We’ve had some interesting experiences. At times, Rebecca and I have attended Latino and/or Puerto Rican events and the reaction was, ‘wow, you’re Puerto Rican?’ It comes as a surprise, as if there are no Black Puerto Ricans. We also receive comments from Latinx who don’t want us to post about “Blackness” on social media or leave angry comments on the blog about the topics we discuss. Oftentimes, they have found our blog offensive, as they are in denial about the vastness of the Black Diaspora. We don’t let awkward exchanges or Latinx’ “uneasiness” with Blackness stop us. Instead, we continue our mission. Do you believe the representation of Afro-Latinx has changed in a positive light? Is there more to be done? Since I began our site 7 years ago, I do believe that there has been more representation of Afro-Latinx, but I definitely feel that more work needs to be done. I don’t want this movement to be treated as a trend, which I have been noticing lately, but more of a positive movement that organically integrates us into a forward-moving conversation. Boricua actress Jeimy Osorio (Celia Cruz in the series Celia!) 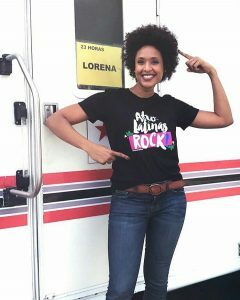 wears the official Afro-Latinas Rock tee! What do you hope to accomplish with Boriqua Chicks and along with your careers as well? We hope to continue to evolve and grow our media platform through new offerings. Last year we launched an online store, AfroLatinasRock.com, where we sell the official “Afro-Latinas Rock®” t-shirts. We also share our story via speaking engagements around the country; we plan to continue to spread our message through these opportunities. What else should your audience know? After several requests from advertising clients and aspiring bloggers, in 2016 we began assisting brands with their social media efforts via consultations and management. 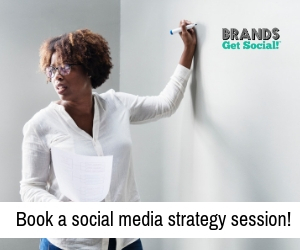 If someone is launching a blog or needs assistance with an established brand in the multicultural space, they can email us at info@brandsgetsocial.com to schedule a social media consultation. Other ways to engage with our brand including advertising opportunities and we welcome guest posts from contributors. Sign up for our electronic newsletter here. Check out some of these popular posts that have run on the blog! I Am A Proud Afro-Latina! La Esclava Blanca: White Fiction or Black Empowerment?